Sony is ramping up its efforts to bring 3D Blu-ray releases, announcing that the infrastructure to do the 3D conversion process is being put into place. It's no secret that Sony is backing the 3D horse. Its announcements at CES 2010 were 3D specific, building on the promise the company gave at IFA 2009, where CEO Howard Stringer noted: "The 3D train is on the track, and we at Sony are ready to drive it home." The tracks to ride the 3D train (sorry) are being put in place, with Joe Nakata, Deputy General Manager for Sony's 3D Strategy Unit saying at a recent event in Tokyo: "We'll probably be able to start next fiscal year, if we can convert them into 3D with good effects. "Companies specialising in conversion processes are starting up in India and the infrastructure is getting prepared." 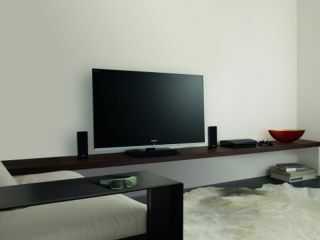 Sony's first 3D-Ready Bravia TVs, the HX and LX series, have a UK release date later this year.